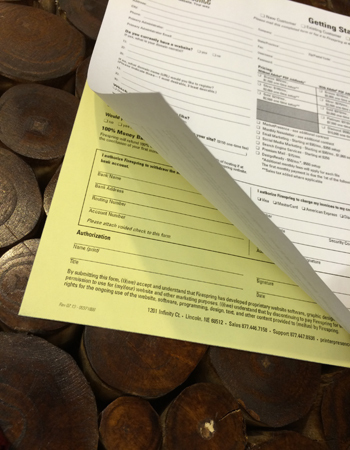 NCR Forms customized for your business! NCR stands for No Carbon Required. The paper is chemically treated to eliminate the old tatty sheet of carbon paper that used to be needed. NCR books are ideal for anyone that needs to produce instant paperwork when away from the office. We don’t bulk print generic books and put your logo in a corner. Our NCR Books are custom designed to your specific requirements, or you can supply your own design.